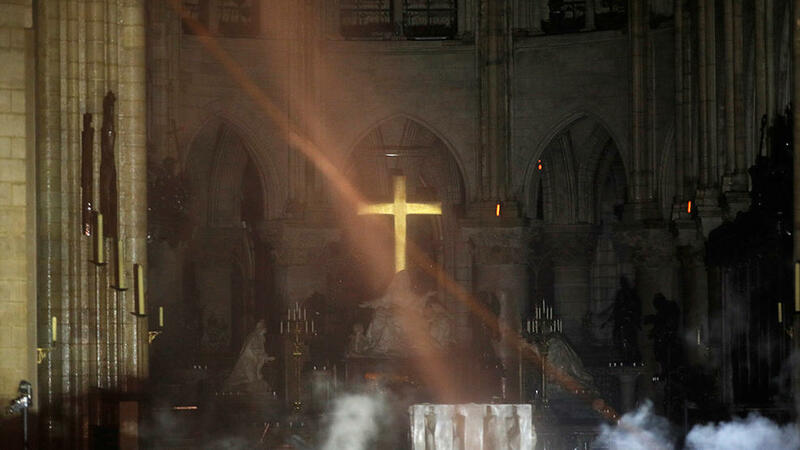 News reports of Paris’ Notre Dame Cathedral fire showed devastating damage to the outside of the historical church. 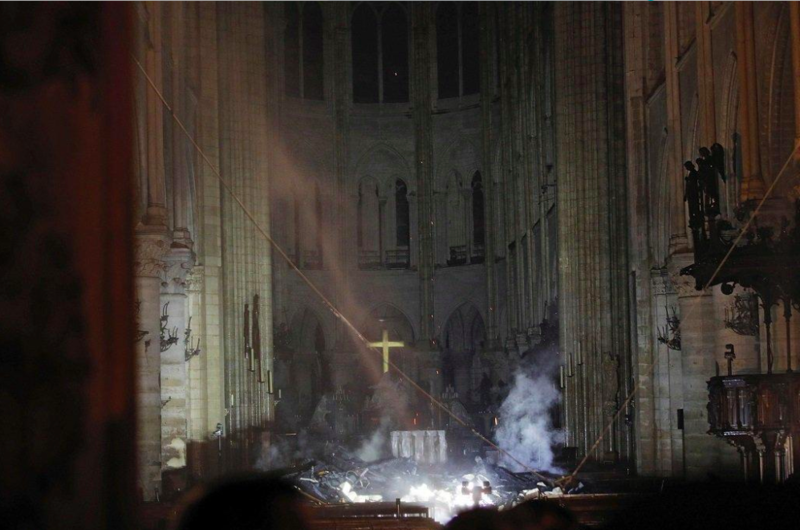 However, recent posts on a Twitter account for the cathedral show that the main interior is “relatively untouched” after the spire and central roof collapsed. 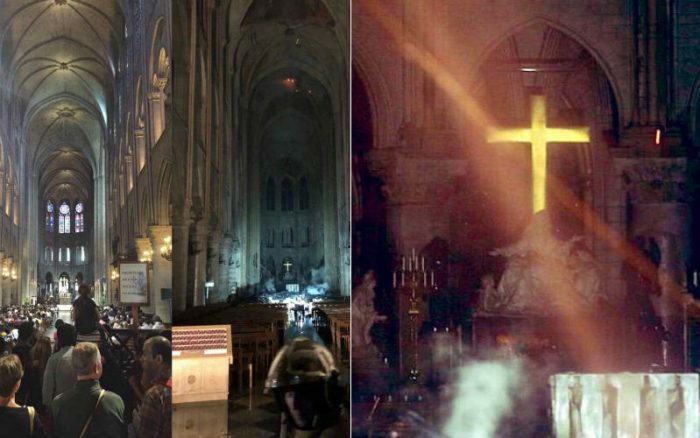 Reports also said the cathedral’s Pieta statue remains untouched. 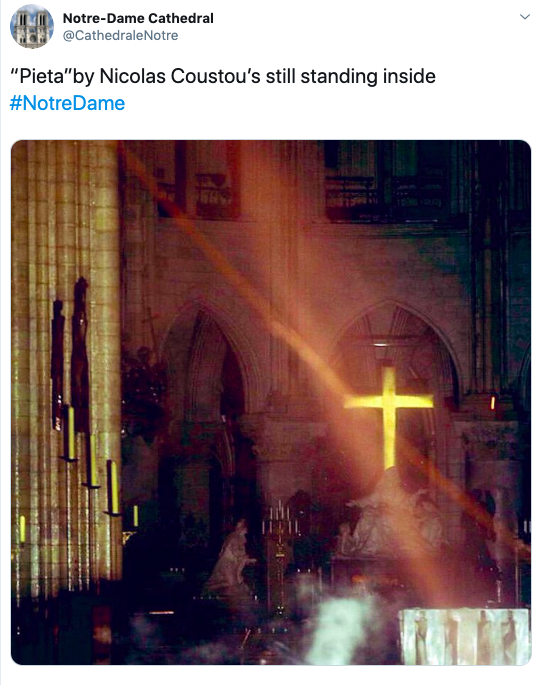 The tweet reads, “Inside #NotreDame. Only a small part of the vault collapsed. Interior seems relatively untouched. 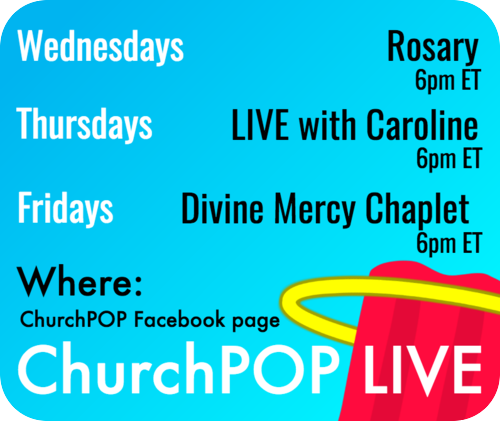 Alleluia! 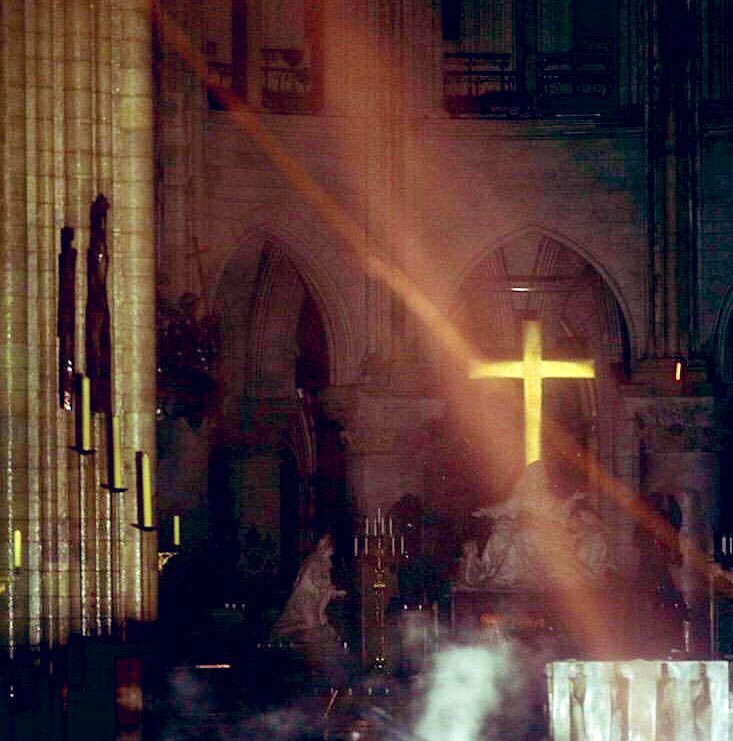 #NotreDame #Paris”.